Description: Tower crane lifts a huge metal pipe. Air cooler for oil refinery. Construction site. Industrial, Oil refinery. 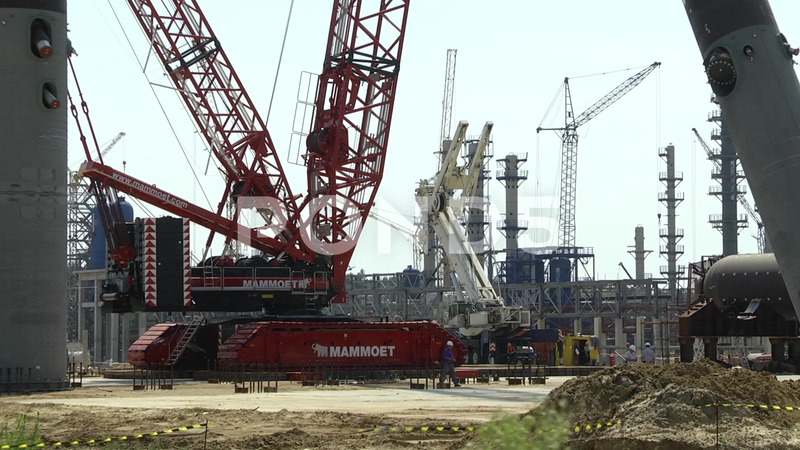 Mammoet, heavy lift transportation company delivering heavy.